Get Involved - Volunteers Always Needed! The North Carolina Interscholastic Cycling League is looking for good people willing to share their time for this amazing program! 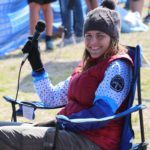 If you want to be a part of the Interscholastic Mountain Biking Revolution, then the time to act is now! There's nothing else like it. And you don't need a bike. 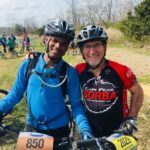 2019 North Carolina Interscholastic Cycling League Race Series. Are you ready to RACE?! We have a fantastic season in store for you! We have some old favorites which will allow you to mark your improvements. If you thought last season was off the charts fun, wait until you see what’s coming. North Carolina youth mountain biking is growing. We need your help! There are lots of opportunities to get involved. You'll make our state’s NICA program a huge success.